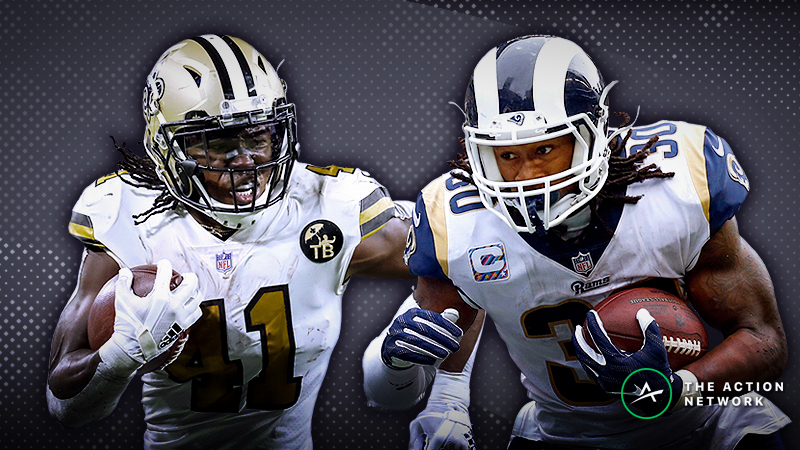 The 2018 NFL season is over, so it’s time to look ahead to the 2019 NFL draft. 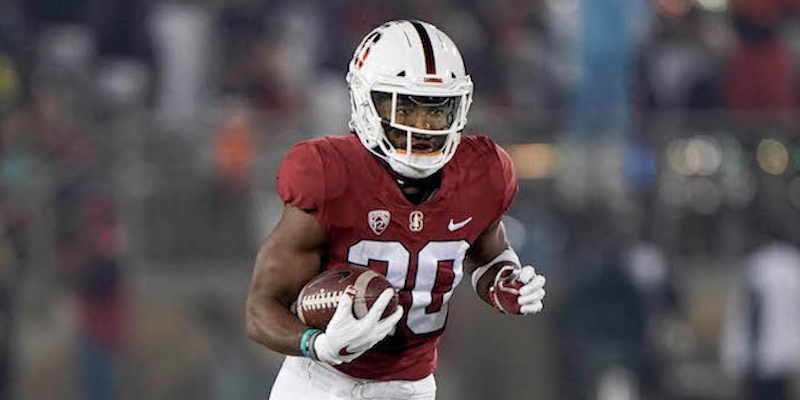 Here’s an updated version of my way-too-early rankings for 2019 rookie drafts in dynasty leagues, with the caveat that my perspective on these players will change throughout the coming months as we get more information. Harry was a five-star recruit and the top-ranked receiver in his class by some scouting services. He leaves Arizona State with two 1,000-yard receiving seasons and 26 career touchdowns as a receiver, rusher and punt returner. Thicker than molasses, Brown dominated the SEC over his two final seasons, averaging 111.8 yards receiving per game over that span. 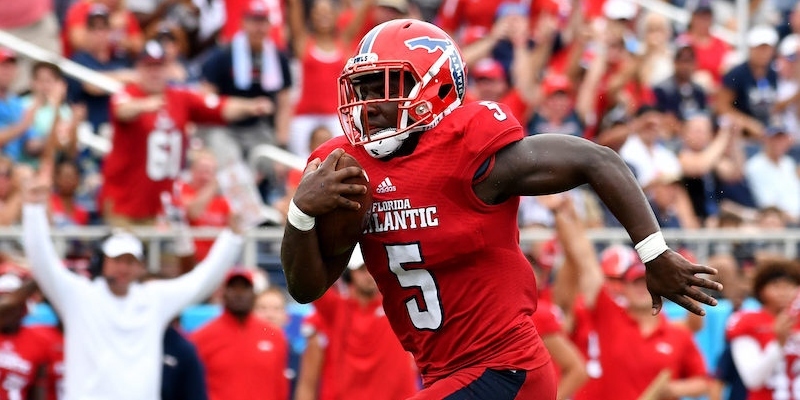 With back-to-back campaigns of more than 1,250 yards, he might be the 1.01 in many leagues depending on landing spot and athletic measurables. As good as Brown was, he might not even be the most promising prospect from Ole Miss. 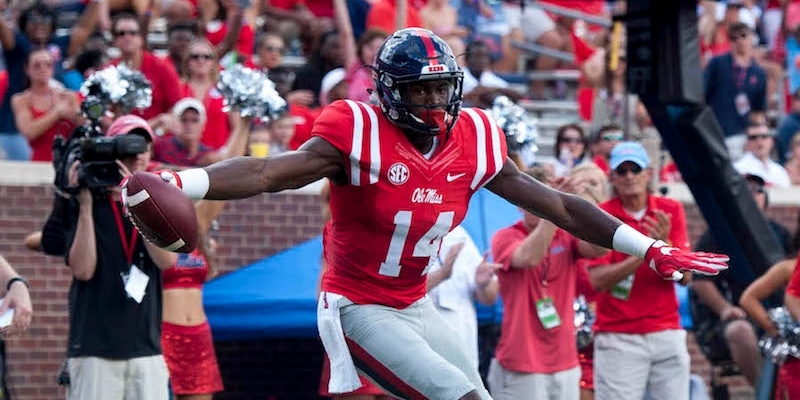 Although Metcalf lacks Brown’s overall record of production, he is younger and bigger and was on pace for a 1,000-yard, 10-touchdown performance in 2018 before a neck injury cut his season short. Harmon has good size and back-to-back 1,000-yard seasons. He’s sometimes compared to Julio Jones because of his size, athleticism and physicality. While Harmon is unlikely to develop into a Julio-esque force, he’s a playmaker. Montgomery is currently the frontrunner to be the first back selected. A three-down player with consecutive 1,000-yard rushing seasons and 58 receptions for 453 yards over his two final seasons, Montgomery should get a chance to be an NFL lead back. 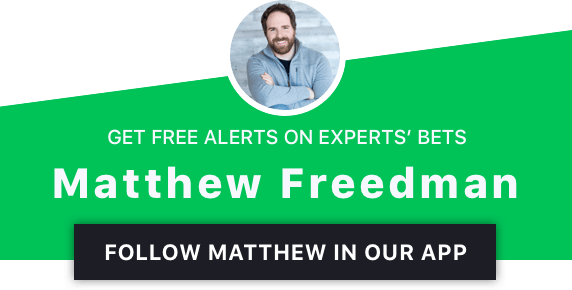 Samuel had to deal with intermittent leg injuries throughout his college career, so he comes with legitimate injury concerns. But he’s electric when on the field, scoring 26 touchdowns as a receiver, rusher and kick returner in his 25 games over the past three years. A man among boys, Butler has the most length of all the receivers in the 2019 class. In his first season as the No. 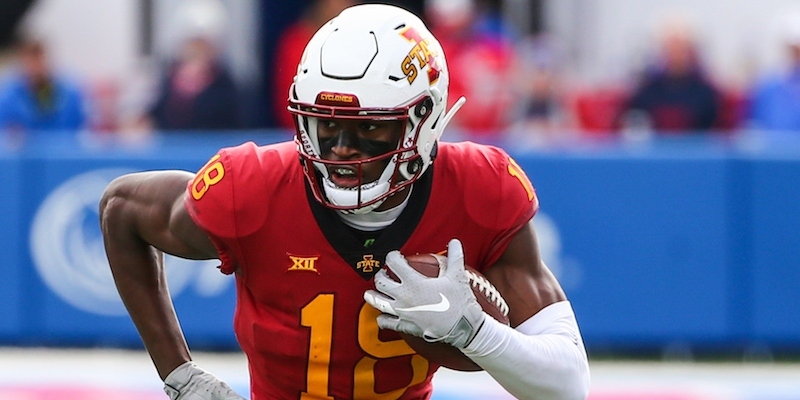 1 receiver for the Cyclones, Butler stood out with 101.4 yards receiving per game in 2018, capturing an elite 45% of the team’s receiving touchdowns. Brown had back-to-back 1,000-yard campaigns in 2017 and 2018. He’s small, but so were his immediate predecessors — Sterling Shepard and Dede Westbrook — and both have flashed in the NFL after producing in Lincoln Riley’s system at Oklahoma. Harris managed to accumulate 1,000 scrimmage yards in each of the past three seasons. Over the past decade, every 1000-yard ‘Bama back has been selected with a top-100 pick in the NFL draft. Winner of the 2018 Mackey Award as the nation’s top tight end, Hockenson has Rob Gronkowski-esque potential as a mismatch weapon in the blocking and receiving game. Entering the NFL from the same institution that produced George Kittle, C.J. Fiedorowicz, Tony Moeaki, Scott Chandler and Dallas Clark, the young tight end will be a solid professional right away. A big-bodied bruiser with NFL bloodlines thanks to his father and great uncle, Snell was his team’s lead back for three straight seasons, averaging 104.8 scrimmage yards per game across his career. Large SEC runners with over 1,500 scrimmage yards in their final college seasons tend to have at least a little NFL success. After putting up 2,099 scrimmage yards and 20 all-purpose touchdowns as a change-of-pace back in his first two seasons, Henderson exploded as the lead back in 2018, finishing second in the FBS with 2,204 scrimmage yards and first with 25 touchdowns. With a 63-758-8 receiving stat line for his career, Henderson has three-down NFL potential. Ever since Kirk Ferentz started at Iowa in 1999, the school has transformed itself into Tight End U. Fant has been groomed for professional success since his first day on campus. Despite sharing the field with Hockenson, the supremely athletic Fant led the Hawkeyes with 11 and seven touchdowns receiving over the past two seasons. Arcega-Whiteside isn’t as hyped as the receivers ranked ahead of him, and he’s more of a possession receiver than an athlete. But for the past two years he was his team’s No. 1 receiver. In 2018, he had a strong season with 1,059 yards and 14 touchdowns receiving in 12 games, sporting an über-elite 56% market share of the team’s receiving touchdowns. After redshirting as a freshman, Dortch immediately played as the No. 1 wide receiver for the Demon Deacons in 2017, averaging 91.4 yards and 1.13 scrimmage touchdowns per game before missing the final five contests with an abdominal injury. He returned to form in 2018 with 1,078 yards receiving (plus 20 yards rushing) and 10 all-purpose touchdowns (eight as a receiver and two as a punt returner). If his game speed translates to the combine, he’ll likely fall somewhere on the spectrum between Tyler Lockett and Tyreek Hill. If not, he could still be a competent slot-plus receiver. It took me a while to come around on Isabella, but I’m here. He’s legit. A converted high-school running back, Isabella was a Biletnikoff finalist in 2018, finishing first in the nation with 1,698 yards receiving, second with 102 receptions and sixth with 13 touchdowns receiving. His use as a rusher (342 yards, two touchdowns in his career) speaks to his overall skill set. Although Isabella at first glance looks like a slot-only receiver, he consistently displayed the ability to create separation down the field, and in high school he beat speedy cornerback and 2018 No. 4 overall pick Denzel Ward (4.32-second 40 time) in a track meet. A nuanced route runner, Isabella is incredibly shifty. Even if Isabella is nothing more than a slot receiver, he has the potential to be a superb middle-of-the-field pass-catcher: In 2018, he accounted for a dominant 47.5% and 48.2% of the UMass yards and touchdowns through the air. At the Senior Bowl, he balled out for 88 yards and a touchdown on seven receptions and a carry. If not for his medical history, Anderson could be the No. 1 back in the draft. He played just two games as a true freshman in 2015 before breaking his leg, then missed the entire 2016 campaign because of a fractured vertebra in his neck. In 2017 he impressed as OU’s lead back, totaling 1,442 yards and 18 touchdowns on the ground and through the air, but then he suffered a season-ending knee injury in Week 2 of the 2018 season. If he’s able to stay healthy, he could be a top-10 NFL back for a half decade. 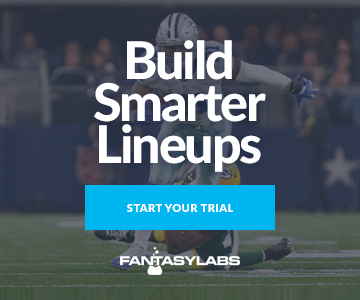 Smith is more of a move tight end and big-bodied slot receiver than a traditional inline prospect, but he is still a competent blocker and has shown the ability to make plays down the field with his 16.1 yards per reception. The son of a former NFL tight end, Smith is one of the youngest prospects of the 2019 class, and the long-term NFL success rate for tight ends who are 21-year-old rookies and selected with top-100 picks is inordinately high. It’s possible that Murray will choose baseball over football, but as now the 2018 Heisman Trophy winner looks like a future NFL quarterback. Last year he led the nation with his 13.0 adjusted yards per pass attempt. With the sustained success of Drew Brees and Russell Wilson, an NFL team will be more willing to draft a small quarterback with a top-10 pick, and the recent success of Patrick Mahomes and Baker Mayfield has shown that a spread-system quarterback from the Big 12 and Oklahoma in particular can play in the NFL. Thanks to his running ability (140-1,001-12 rushing last year), Murray has enormous fantasy upside. I have Murray as the first quarterback off the board in our Round 1 mock draft. What Kenyon Drake was to Alabama for 2012-15, Jacobs was for 2016-18: An explosive runner and competent receiver with game-breaking ability as a return man. Jacobs has never been a collegiate lead back, but the NFL’s fascination with ‘Bama means that he’ll likely be a top-100 pick. And with that type of draft capital, he’ll have a shot to earn a significant NFL role. Williams served as the Aggies’ lead back each season of his college career, and in 2018 he broke out nationally with 271-1,760-18 rushing and 27-278-1 receiving. Since 2000, only four other SEC backs have had at least 1,750 yards rushing in a season: Leonard Fournette (2015), Derrick Henry (2015), Tre Mason (2013) and Darren McFadden (2007). All were top-100 draft picks. Love destroyed his draft stock by returning to school for his senior season after dominating the collegiate ranks in 2017 with his 2,151-yard, 19-touchdown campaign. He missed two games in 2018 with an ankle injury, was hampered in the 10 games he did play and and reportedly tore his ACL in his final college game. But he has the potential to be a three-down NFL back thanks to his explosive athleticism and final-year development as a receiver (two receptions per game). Of all the wide receivers Urban Meyer had at Florida and Ohio State, no one ever had more receiving yards or touchdowns in a season than Campbell had last year with 1,063 and 12. A top-25 recruit in 2014 with legitimate track speed, Campbell is likely to see his draft stock rise throughout the evaluation process. A five-star recruit, Williams did little in two years at Tennessee, so he transferred to CSU, where he thought he’d be able to earn more playing time and display his talent in head coach Mike Bobo’s system. Suspended for much of his 2017 redshirt transfer year because of multiple arrests related to domestic violence, Williams will be a polarizing prospect for some teams, but his talent is unquestioned: In 2018, he had top-four marks with 96 receptions, 1,345 yards receiving and 14 touchdowns receiving despite playing in just 12 games. His 53.9% market share of receiving touchdowns was elite. Haskins could very well be the first quarterback selected in April, and the NFL Draft Advisory Board gave him a first-round grade. Haskins has just one year of collegiate starting experience, which makes his projection to the NFL somewhat uncertain, but he was fantastic in 2018 with 4,831 yards and 50 touchdowns passing. I tend to devalue quarterbacks in rookie drafts because of the position’s NFL depth, but Haskins has long-term upside. I’m relatively high on Williams, but I think his draft stock will skyrocket throughout the evaluation process as teams learn to appreciate the extent of his pass-catching prowess. Williams has averaged just 8.1 carries per game for his career, but Washington State rarely runs the ball, and Williams has actually led the Cougars in rush attempts in each of the past three years. And his receiving work has been exemplary, given his 202-1,437-8 stat line since 2016. No running back had more than Williams’ 71 receptions in 2017 and 83 in 2018, when he had 1,176 scrimmage yards and 16 total touchdowns on 205 touches. Singletary was outstanding in Lane Kiffin’s offense, averaging 134.6 yards and 2.11 touchdowns from scrimmage in his two final seasons. He seems unlikely to be drafted in the first couple of rounds because of concerns about his size, athleticism and receiving ability, but he could still have a productive NFL career. If he tests well in his pre-draft workouts, he will significantly rise in my rankings. Hill is a small back who was hampered for much of 2018 with a rib cage injury, but in 2017 he was productive as both a rusher (268-1,467-15) and receiver (31-190-1). With 106.8 scrimmage yards per game across his career, Hill has NFL potential as an oft-used change-of-pace back. What Justin Jackson was to last year’s draft class, Gaskin is to this year’s. Gaskin is a small back with average athleticism, but he was productive as a runner and receiver in four straight seasons, averaging 111.3 yards and 1.19 touchdowns from scrimmage across 52 career games. In no college campaign did he have fewer than 1,300 yards. 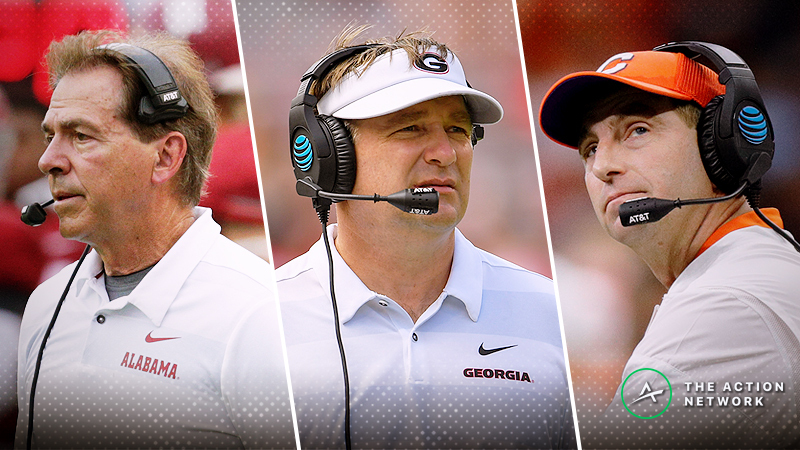 Remember in 2010 when Kiffin offered a USC scholarship to a seventh-grade quarterback? That’s Sills. After Kiffin’s dismissal from USC, Sills de-committed and eventually enrolled at WVU, where a hand injury he suffered in high school impacted his ability to grip the ball and caused the coaching staff to move him to wide receiver. 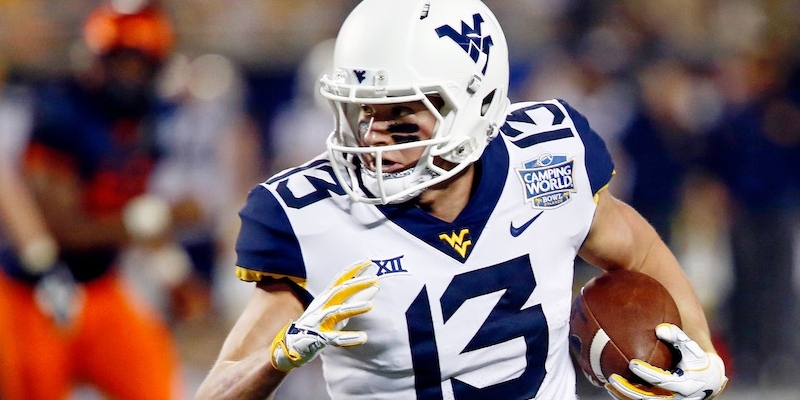 As a sophomore he played at El Camino College to keep his quarterbacking dreams alive, but he transferred back to WVU in 2017 and embraced the position change, becoming a Biletnikoff Finalist in his first full year at the position with a 60-980-18 campaign. In 2018, he finished with an even 1,000 scrimmage yards and 15 receiving touchdowns. 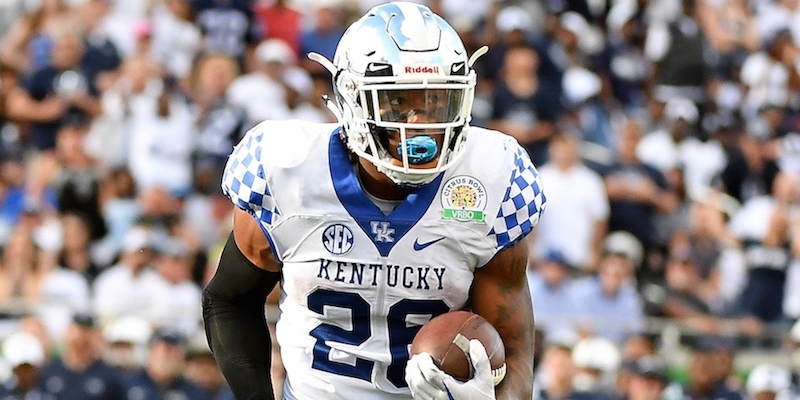 He’s not expected to test especially well athletically in his pre-draft workouts, but he has outsized potential as a possession receiver and red-zone specialist. Hall missed multiple games over the past two seasons with hamstring and groin injuries, but he flashed with 828 yards and six touchdowns in eight games last year, when he led all qualified draft-eligible players with 14.0 yards per target. With his build, athleticism, big-play downfield ability and likely draft range, Hall is reminiscent of a young Marvin Jones. Players like Johnson are never likely to have NFL success, but he has potential. Johnson’s college career started slowly: He had middling production at Butler Community College in 2014 and Iowa Western CC in 2015, then redshirted at Buffalo in 2016. But in 2017 he was one of the most dominant receivers in the country with a 76-1,356-14 campaign, which he followed up with a 57-1,011-11 performance in 2018. In his two final seasons, he had a robust 37.2% and 50% market share of his team’s receiving yards and touchdowns. Lock feels like a second-rounder who will be selected in the first round by a quarterback-needy team. 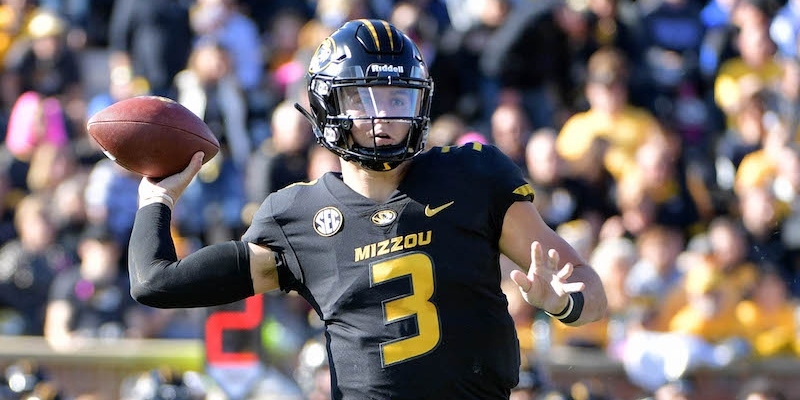 He struggled with consistency throughout his three-and-a-half years as a starter, and even though he had a career-best 62.9% completion rate as a senior, he was less efficient than he had been the year prior (10.2 adjusted yards per attempt vs. 8.5). But this is a thin class for quarterbacks, and Lock will likely be an NFL starter at some point. Thompson has never played against elite competition, but in his two years at Northeastern Oklahoma A&M College and single season at Utah State, he averaged 116.7 scrimmage yards and 0.97 touchdowns per game across 35 games. Thickly built to withstand the grind of early-down work, Thompson displayed good ability as a receiver with the Utes, amassing 351 yards in 13 games. Mattison was to the Broncos in 2017-18 what Doug Martin was in 2010-11, D.J. Harper in 2012, Jay Ajayi was in 2013-14 and Jeremy McNichols in 2015-16: A workload-capable lead back with above-average receiving skills. Some teams might hold his Boise State lineage against him, but Mattison’s three-down NFL potential will make him a value at his draft range. Barnes did relatively little in his first few college years, but in 2018 he broke out, dominating the backfield workload with 256 carries, 20 receptions and 1,549 scrimmage yards. Of the 14 touchdowns scored by a Wildcat running back, 12 belonged to Barnes. With elite size and adequate pass-catching ability, Barnes offers the upside of a lead back on the cheap.